Podcasting can be a creative assignment that encourages students to engage with a topic aurally and orally in addition to simply via text. By engaging the senses more deeply, students gain a more comprehensive understanding of the topic. A podcast is an audio file made available for online streaming, and as a format, it offers a lot of flexibility. One of podcasting’s main benefits is that it prompts students to practice writing for a general public. Reading an academic essay out loud does not make an engrossing podcast; students must think carefully about their audience and how to keep their interest. Podcasting gives students the opportunity to be creative as they figure out the structure of an episode and decide how to incorporate music and other audio. The conversational, journalistic style that many podcasts use encourages students to think outside the box in terms of presentation. Radio services like NPR and the BBC have many good examples of engaging, informative programming in their podcasts. With the current surge in popularity of podcasting as a medium for entertainment and information, students are likely to already have podcasts that they enjoy, which they can try to emulate as they complete their own projects. Podcasting is especially well-suited to subjects with an aural component, and UChicago music faculty have assigned podcasts as short assignments during the term and as final projects. The format allows students to intersperse segments of audio with their discussion. But podcasting should not be limited to subjects like music—it can be adapted to almost anything. In a poetry class students might make podcasts in which they read and discuss a poem; in a science class students might explain a new finding and its significance, including interviews with experts; history students might use a podcast to present an oral history project. This blog post by Professor Chris Buddle at McGill University gives a good idea of the potential for using podcasts as an assessment tool. He assigned group podcasts at the end of the term, in which students made short segments about current issues in ecology. His post includes links to sample student work that came out of the project, which illustrates students’ creativity as well as mastery of the material. These podcasts made by students in Whitman College’s Semester in the West program show the medium’s potential for long-term projects. Students produced narrative podcasts of about eight minutes each to present some of the things they learned during their semester doing field studies. What technology do you need to make podcasts? There are three main steps in creating a podcast: recording the audio, compiling and editing the episode, and making the podcast available to listeners. For basic recording needs, students’ smartphones or laptops are likely sufficient. Students with iPhones can use the built-in Voice Memos app; Android users may need to download an app, such as Voice Recorder. NPR has a helpful guide on using phones to record audio. If a project calls for more sophisticated audio equipment or extra planning and preparation, instructors can reach out to Audio-Visual Services for help. There is also recording equipment available in the Audiovisual Room of Regenstein Library (room 307); the key can be checked out at the circulation desk. To put recorded audio together into an episode, students will need audio editing software. Audacity is a popular choice; it is free to use and works on Windows, Mac, and Linux. For Apple users, another good choice is GarageBand, which has both a desktop and a mobile version. Audacity and GarageBand are both easy to learn, and there is a wealth of online documentation to help students get started. Once students have recorded their audio and edited it together into a brilliant, engaging podcast, there is still one crucial step: making it available for people to listen to. It is possible for students to simply share an MP3 file with the instructor via email, a file-sharing service, or a USB drive, but this makes it hard for students to listen to one another’s work or for the work to be distributed even more widely. Instead, you might consider hosting your students’ podcasts online. Canvas has a built-in system for podcasting inside Discussions. First, the instructor must enable the podcast feed. 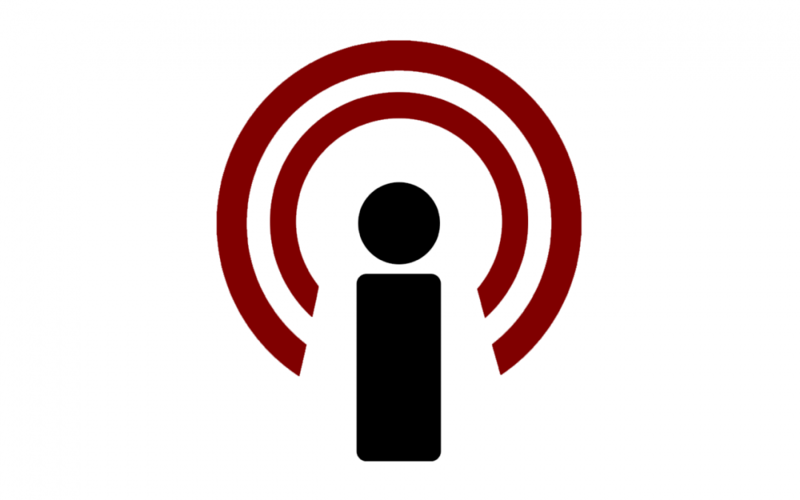 Students upload their podcasts using the Record/Upload Media button in the Rich Content Editor, and all the podcasts are available both from the discussion and via the podcast feed link. If your course uses a WordPress blog, you can also upload audio files directly to WordPress. Another option, which is especially good for sharing student work with a wider public, is SoundCloud. Note that free accounts on SoundCloud are limited to three hours of uploads. The most important thing to remember is not to be intimidated by the technical needs of podcasting. It is easy to learn and can be done with free software and equipment that students likely already own. Here is a sample mini-podcast, recorded in the Audiovisual Room at Regenstein Library, put together using GarageBand, and hosted on Soundcloud. Chronicle of Higher Education: Four Mistakes I Made When Assigning Podcasts, Evan Cordulack, 2012. Canvas Help: How do I enable a podcast feed for a discussion in a course?